First fest of the year! 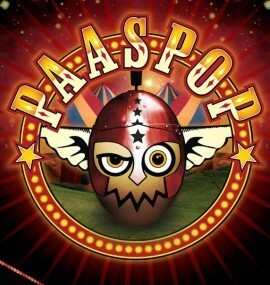 Festival season seems to start earlier and earlier each year, and this year is no exception, so we’re proud to announce that Eric will be kicking off the season with a DJ set at Paaspop near Schijndel in the Netherlands on Saturday 7th April. Eric’s playing as part of the “Mashup Bastards” team on Saturday night, just past Midnight at the Thunderbolt stage, with DJ Morgoth, DJ Schmolli and our host MadMixMustang also doing sets over the weekend. Can’t think of a better start to the (extended) summer, really! Well, maybe! I’m going to be DJing here and there in London over the next while, questing for a good place to establish a London residency (or two). The plan being, once a good place and crowd is found, to start inviting a few friends and inspirations down to do guest spots. Should be fun, no? First place for a hat drop will be The Luxe in Spitalfields THIS FRIDAY (9th March). (You may know The Luxe better by it’s previous name, Spitz, I do, having played there a couple of times in the past). Can’t really want for a better location, being right in the thick of the Spitalfields / Shoreditch / Brick Lane axis. Haven’t had a Videotone for a while, and here’s a new doozy! Marcus Round sends “Black Medicine” spiraling out into the stratosphere! Full screen a must with this one… it’s lovely.